Chad Ryan | The Journal Gazette Phoenix Institute director Sue Puff said the state-licensed child placement agency in Fort Wayne is placing more children in foster care over parental heroin and opiate abuse. They came in just a few days ago. A brother and sister pair who, like many other children during the nearly two decades Sue Puff has headed Phoenix Institute, needed foster care. Usually the staff of the local agency, which places children in need with families, will cheer the kids up with stuffed animals, or try to give them comfort with soft blankies. The girl, maybe a little older than a year, would have none of it. "She just wasn’t going to warm up," Puff said. The boy and girl wound up at the Phoenix Institute for what officials say is becoming an all-too-familiar problem, affecting nearly all aspects of daily life: heroin and opiate abuse. "Most of the youth we have now are due to parental drug abuse," Puff said. "More and more kids are coming into care, and because of that, we need more foster parents." A federal report released last year shows a spike in the number of children going into foster care after years of decline. In Indiana between September 2013 and September 2015, the number of children needing foster care jumped 40 percent. Officials have blamed the heroin epidemic, which has swept the nation, as the main cause. While Puff did not have exact numbers of how many kids came through her organization because of parents addicted to drugs, she said it’s been much more common than in past years, even when she used to work for the Department of Child Services. Gov. Mike Pence hired 113 new case workers for child services last year to address the problem. "This is a crisis statewide," Puff said. Heroin and opiates have garnered state and national headlines since an increase in HIV infections arose in tiny Scott County, particularly the town of Austin, in southern Indiana last year. Health officials linked the rise of the chronic illness to heroin and opiates being ingested using needles that were being shared. In Fort Wayne, police and health officials reported an increase in overdose cases involving heroin and opiates over the course of the last few years, with one particular bad batch of the drugs leading to three deaths in a 12-hour span last year. The rise spurred officials to purchase doses of Narcan, a drug that fights overdoses, for the Fort Wayne Fire Department. From August through November, the department used the drug to save at least 15 people suffering from a heroin or opiate overdose. Still, abuse is running rampant. "Actually, it’s worse than it’s been," said Capt. Kevin Hunter, who heads the Fort Wayne Police Department’s Vice and Narcotics Unit. In 2014, officers took 157.5 grams of heroin off the streets. In 2015, that number more than doubled to 339.08 grams, Hunter said. Officers are also encountering Fentanyl, a pain killer popular among addicts, and are arresting more people for unlawfully possessing a syringe. In Indiana, it is illegal to possess a syringe with the intent of injecting prescription drugs without a prescription for those drugs. Syringes found during these arrests are always properly disposed of, Hunter said. The heroin epidemic is affecting people in all walks of life – rich, poor, middle class, Hunter said. "This is one of those issues we’re not going to be able to arrest our way out of," Hunter said. "We need more treatment facilities to address the addiction issues. I’ve never seen the addiction issues with other drugs I’ve seen with heroin. These people are truly addicted and really can’t control themselves." Which leads to other issues. Newly diagnosed HIV cases rose 8 percent from 2014 to 2015, which health officials linked to the practice of using intravenous drugs. And there has been a drastic spike – 61 percent – in hepatitis C cases found in Allen County during the same period. "It’s a huge problem," said Dr. Deborah McMahan, commissioner for the Fort Wayne-Allen County Department of Health. Compounding the problem, McMahan said, is that the virus that causes hepatitis C might be able to live on drug paraphernalia for up to 30 days. That means those who use needles, even if they stop, might have left the virus on cotton swabs or other items used in shooting up, which may be dangerous to handle or use afterward. 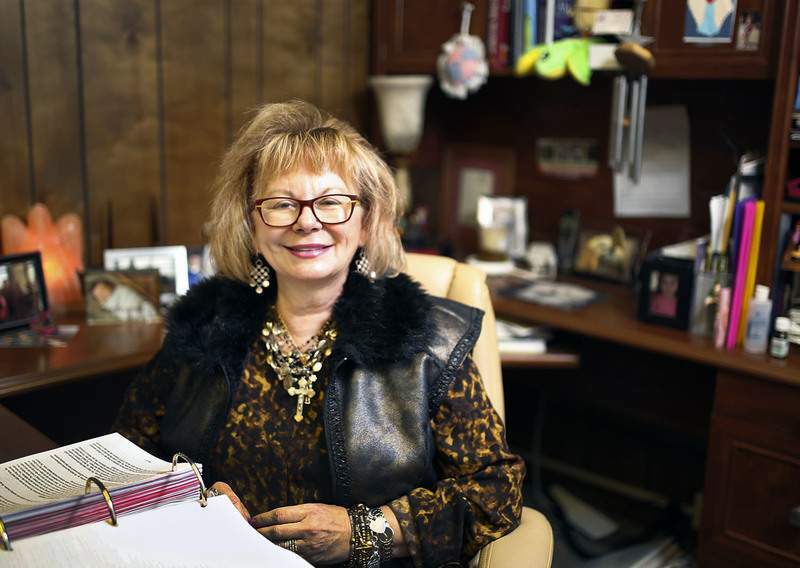 McMahan said her department is preparing to implement a needle exchange program, much like what Scott County started at the height of the HIV spike there, to try to curb the transmission of diseases. A public hearing on the plan is scheduled for Feb. 12. In other areas of the nation, as in Scott County, such programs were hailed as successful as the spread of disease seemed to plateau. Some in law enforcement voiced concerns about allowing people to exchange needles, but locally, Hunter sees it only as a positive. "Needle exchange programs do not promote further addiction or drug abuse," he said. "By setting one up, we’re taking dirty needles off the street. We’re exposing law enforcement and emergency personnel to less dirty needles." Hunter also said other places that have such programs have had people on hand to offer access to addiction programs to those coming in to exchange needles. Still, many officials expect tackling the problem to take years. The addiction is so strong, it is hard to curb immediately, which means some of what the drug is doing will likely afflict the public for a long time. "It takes just one hit," said Puff, the executive director of the Phoenix Institute. "It’s not like alcohol." And the kids who come through organizations like Puff’s are becoming harder to place. They’ve suffered a type of trauma which takes a special kind of foster parent to tackle. Many have moved from place to place already and have seen their parents under the influence of drugs. Puff said that often interferes with a child’s ability to create emotional bonds with a significant figure in their life. "The kids we get, even the little ones, you have to provide for them a very specific trauma-based treatment," Puff said. "You can’t parent them like a normal child." So the right foster parents are becoming harder to find – just another thing the current drug epidemic has touched. "I can’t think of anything that’s been like this," Puff said.